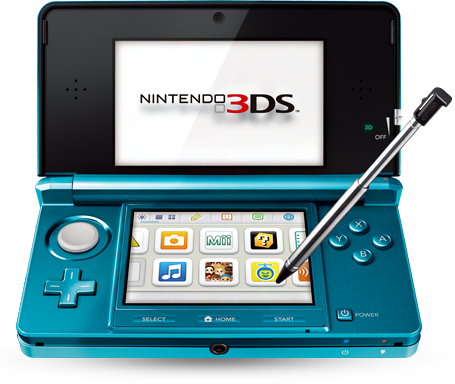 The Release Date and Pricing of most awaited console Nintendo 3DS has been announced by Nintendo. The company has now announced specific details about the gaming platform. According to Nintendo’s site, the 3DS features a glasses-free 3D screen, a 3D “depth slider” to allow the player to adjust just how three dimensional they want their games to be, and a motion/gyro sensor to detect movement. The system is backwards compatible with the DS (with the exception of Game Boy Advance accessories). There’s also several built-in pieces of software with the 3DS, including a tool to create your Mii, an activity log, a web browser, and more. 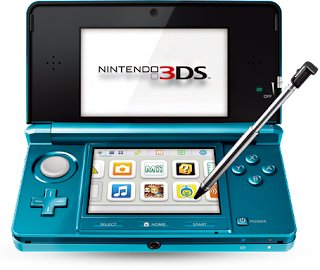 The Launch Date of Nintendo 3DS is going to be March 27 and the Pre-Order Price will be $249.99. It will be available in two colors, Aqua Blue and Cosmo Black, and have a lineup of 20 games available at launch. This makes the 3DS the most expensive console that Nintendo offers, since the retail price of the Wii has dropped to $199.99. Compared to other handheld gaming devices, the 3DS seems a bit expensive – you can purchase a PSP for $150 or a DSi XL for $160, but those systems obviously lack the 3D hook. For sake of comparison, the Sony PSP released with the same street price back in 2005. One interesting hardware feature that is built into the device is a 3D camera. According to the site, it can be used to take pictures that can be displayed in 3D on the device.